For several years I’ve toyed with the idea of recording a podcast. But as a commercial voice over artist and radio presenter, I spend enough time in studios with headphones on, ruining my beautiful hair. Since leaving LBC last year I’ve been inundated with kind messages from listeners asking where they can hear me doing a speech programme. My Smooth Radio Drivetime show is very much music focussed, and my job is to support but not upstage the relaxing tunes. To me, music radio and speech radio are just as much fun to work on. In fact, commercial music radio is actually harder to do well, as it’s far more scientific and precise (my former LBC boss was horrified to hear me say this last week). You have a matter of seconds to communicate, inform and entertain. I’m very lucky to be allowed to have a go at it every day. I recently read that for the first time in six years, National Public Radio, better known as NPR in the States, was on track to break even financially thanks in part to the rising popularity of their podcasts. Hearing that, coupled with Apple’s attempt at ‘reinventing radio’ with an online radio station, was the catalyst that helped me to decide it was time to climb aboard the ‘on demand’ audio ship. Plus, everyone is now connected with a portable device, and monthly data charges are coming down. Traditional broadcasting is evolving. These days, people have busy lives and when they have a spare thirty minutes they choose to catch up on a favourite tv series or podcast, rather than surf the countless random channels to see what’s on. My dilemma when creating a podcast, was what to talk about? What subjects to cover? What music to play? I have such varied interests that I could have done a dozen podcasts on range of subjects from politics to show business, technology to aviation. I made some pilots and consulted with various industry people as to what they might like to hear. My brilliant former LBC producer Victoria Hastings told me my pilots were terrible, when others said they were great – so she was invited to series produce, and thankfully she said yes! A reality check is healthy. It occurred to me that my specialist subject is London, the city I was born in and have always lived in. I’m very much a West Ender, so by osmosis my topics will tend to focus around what’s on and what’s happening in central London. I like to eat out, see shows and try new places. I’m endlessly complaining and campaigning about the people running the city, especially the Mayor, TfL and our vast transport network. On the subject of transport, I read a London Assembly report a few years ago entitled ‘Too Close for Comfort’ about how people physically shut down during the morning crush on London Underground. This gave me the idea to aim this programme at those people who might already be wearing headphones and need a distraction for half an hour whilst in a subterranean world, without phone signal. Armed with all of this and thanks to the brilliant people at Audioboom, Underground London Radio was born – see what I did there? So, we decided to just document my random activities and somehow turn it into a calming 25 minute weekly programme. London News, Arts, Culture, Politics, Transport, Tech, Interviews, Food and Music. The inside track on one man’s life in the capital. Every episode would be the same, but different – depending on what I’m up to and whom I meet. The advantage of online radio is that you can express an opinion without having to provide balance, so it’s a great opportunity to speak out. I also know first hand how hard it is to break into the business, so we’re ending each episode on a song, by an unsigned London artist. This enables me to curate a playlist of original music, by Londoners, for Londoners, and showcase new talent to a wider audience. Please have a listen and subscribe for free, either on Audioboom or iTunes. 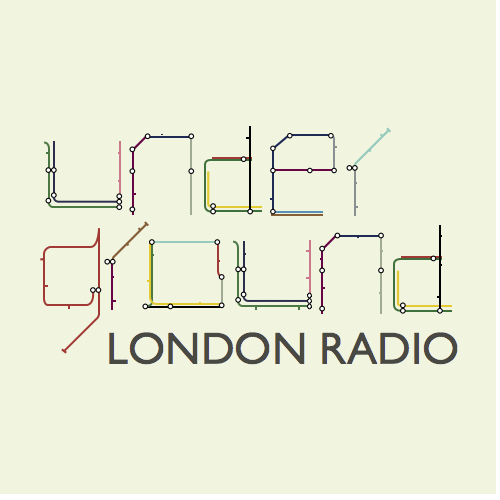 Also follow the Underground London Radio Twitter account for previews of what’s on.